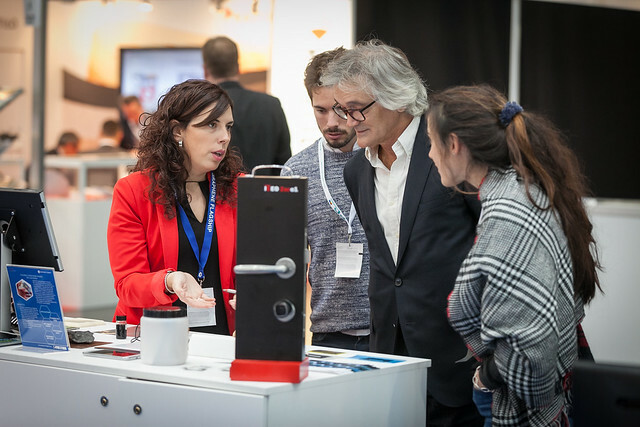 The Graphene Flagship showcased the following composite prototypes at the trade fair Composites Europe 2016 in Düsseldorf, Germany. Graphene can be mixed into thermoplastics. In case of this drone, graphene-polypropylene propeller blades have been prepared. The blades were produced by melt mixing graphene nanoplatelets with poly to form a master batch which was subsequently compression moulded into the desired shape. Moreover, a series of graphene-ABS filaments which can be used for 3D printing has been prepared. Scientific research shows that the presence of graphene improved the stiffness and thermal properties. The aircraft is the world’s first to incorporate a graphene-enhanced skinned wing and was successfully flown at the International Farnborough air show, earlier in the year. Prospero is an example of how graphene might be used as a potentially disruptive technology in the aerospace sector. The research is a joint collaboration between The University of Manchester, The University of Central Lancashire and several SMEs, including Haydale Composite Solutions. In an exciting collaborative project, researchers from Graphene Flagship partner Fondazione Istituto Italiano di Tecnologia (IIT) and Italian luxury design company Momodesign have produced a motorcycle helmet that includes graphene technology. A graphene coating that allows better distribution of heat makes the helmet less susceptible to damage compared to traditional helmets, particularly in high temperature conditions. The result is a helmet that improves thermal comfort and safety. CNR-ISOF have developed a flexible NFC antenna with different graphene derivatives. Research was carried out on several designs, materials and configurations. The graphene antennas can be laminated on different substrates like PET, PVC, Kapton, furthermore a silk/graphene-based wearable antenna was realised. The completely flexible graphene NFC device demonstrators were tested with a smartphone showing good functionality whether flat or fixed on curved objects. materials based on individual needs. Graphene based composites allow to obtain the maximum classification in fire resistance in aeronautics, automotive and building industry applications. Graphene-fibre-reinforced composites enable self-sensing in aeronautics and automotive industries.